2018 saw a hefty stream of aspiring footwear designers stream into the annual On Air workshops that took place in New York City, London, Paris, Seoul, Shanghai and Tokyo. 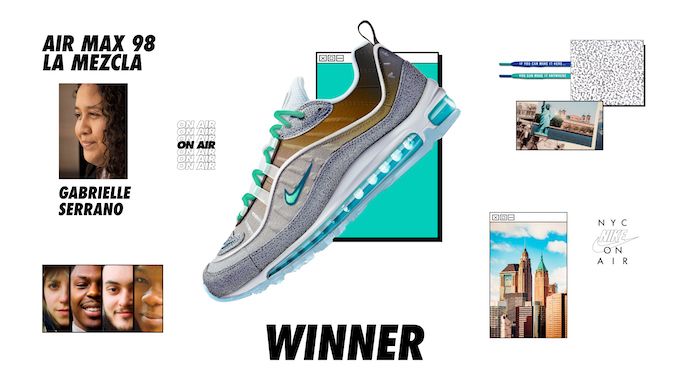 After sifting through thousands of entries, one design from each city was chosen for the very final round of Nike’s annual On Air showcase, with the lucky winners flown to Nike’s headquarters to see their samples and engage in the design process alongside professional designers, opening their eyes to the complex steps that follow from initial ideas to production. Paired with both design and marketing mentors in Beaverton, they will add narrative to their shoe and ready it for production. 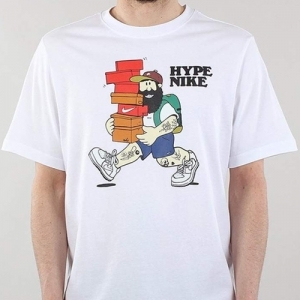 Check out the final designs and their backstories below. 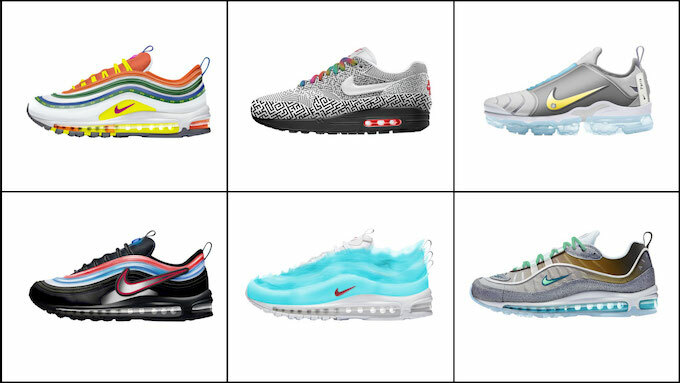 The NIKE AIR MAX 98 LA MEZCLA by Gabrielle Serrano embarks on representing New York City’s melting pot status with a celebration of its most important asset: the people. 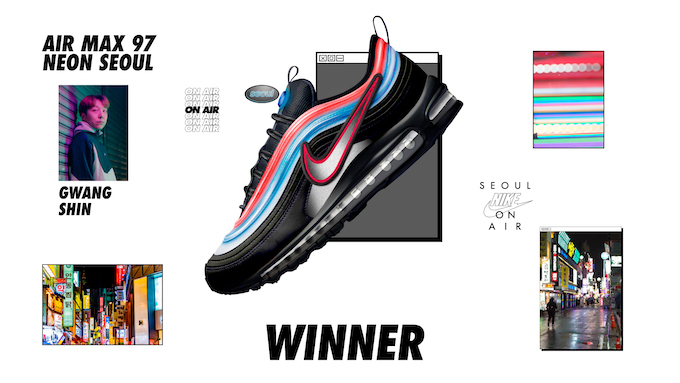 The NIKE AIR MAX 97 NEON SEOUL by Gwang Shin is inspired by the city’s neon signs, and the Taaeguk symbol emblazoned on its national flag. 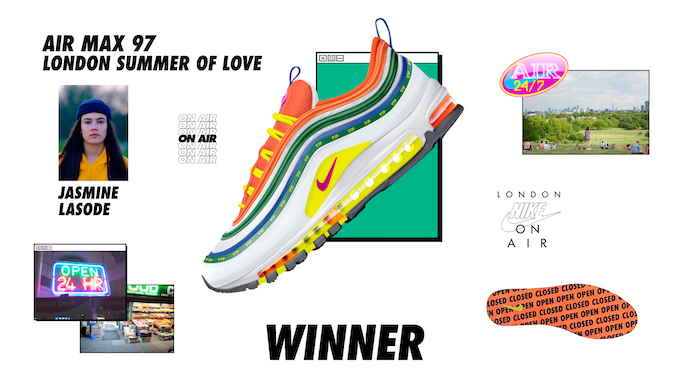 The NIKE AIR MAX 97 LONDON SUMMER OF LOVE by Jasmine Lasode heads back to a seminal moment spent on Primrose Hill. 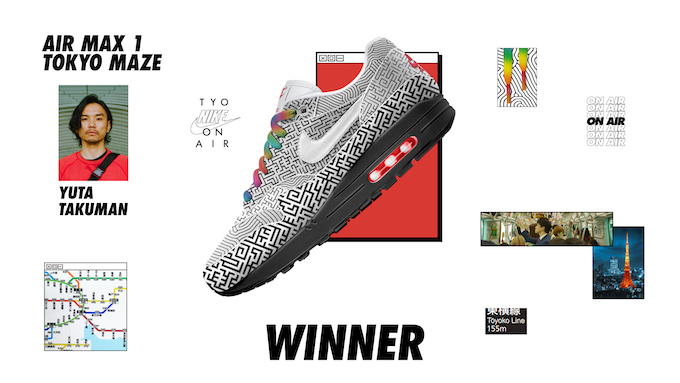 The NIKE AIR MAX 1 TOKYO MAZE bu Yuta Takuman pays homage to Tokyo’s complex underground transport system via a maze printed upper, with the Tokyo Tower given a nod in the red Air bubble. 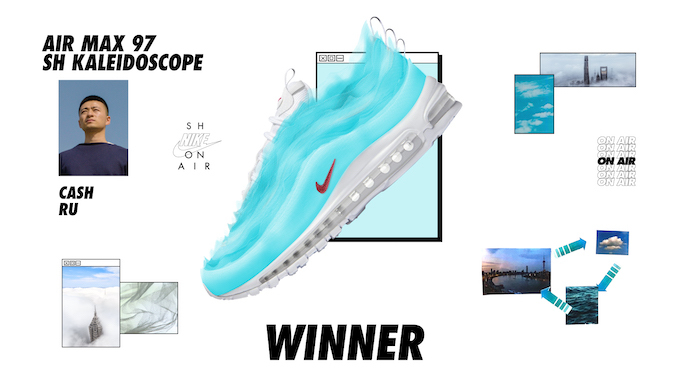 The NIKE AIR MAX SH KALEIDOSCOPE by Shanghai finalist Cash Ru takes cues from floating clouds, taking on new shapes before they dissipate. 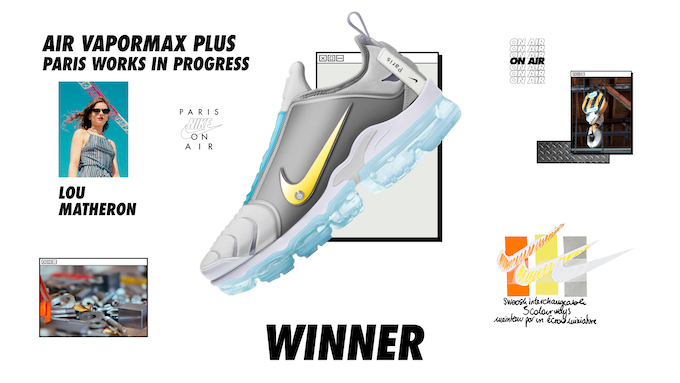 Finally, the NIKE AIR VAPORMAX PLUS PARIS WORKS IN PROGRESS by Lou Matheron was spawned by seeing a courthouse in construction, with its multitude of materials mirrored across the VaporMax’s build. Stayed tuned for more information on the next stage of NIKE: ON AIR. 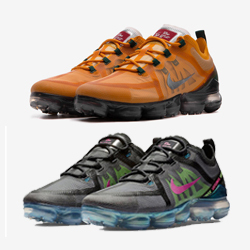 If you’re feeling in the mood to create something yourself, then follow the banner below to customise with NIKEiD today.